Jacob Wilson is a REALTOR® at RE/MAX lakeside in both the Kimberling City and Shell Knob offices, and serving your needs across the entire Table Rock Lake area. 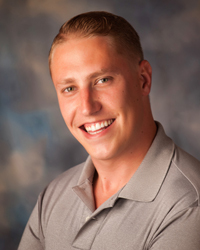 Jacob is a licensed agent in Missouri and blends years of background in the hospitality industry with intimate knowledge of the real estate potential of the area. Commitment to your needs is first and foremost, Jacob will always work with you to make sure every step of the process is handled skillfully and completely. With the amazing backdrop that we have available on and around the lake, let Jacob help fulfill your dream house, dream view or dream life. "Jake, Thank you for your professional attitude and integrity helping my family with the sale of my father's lake home on Raintree Lake!" -Julie W.